Panasonic's TC-P54TV25 3D Plasma TV is part of Panasonic's premium line of 3D Plasma TVs, the TC-PV25. 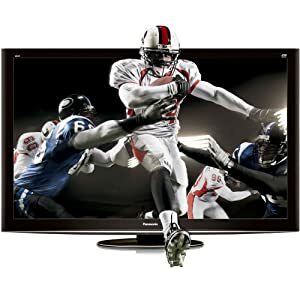 This television features Full HD 1080p resolution and utilizes new advances in Phosphor science made by Panasonic that reduce the lag time it takes for the phosphor to go back to being dark after being excited. This translates into better quality images and the lack of any discernible ghosting in fast paced scenes. This technology should also help boost the 3D experience on this set.